Part of our Nature Series Green Leaves Event Pack, a rich, deep color invitation with a picture of tree and green leaves in the background. 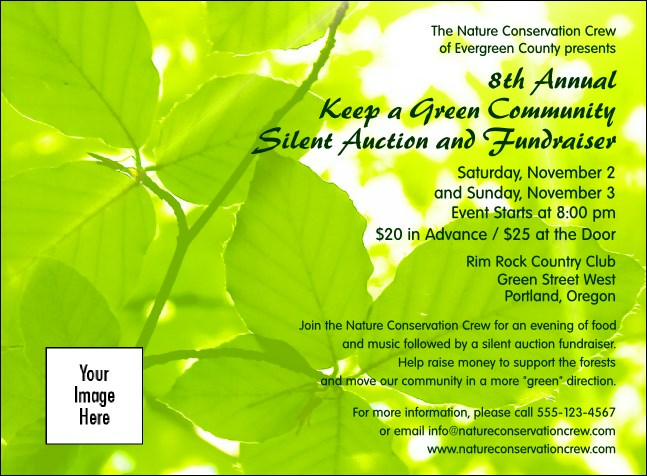 This invitation template can work for many events and communications, including nature focused, conservation, environmental, and green initiatives. Spring and summer events are great for this Event Pack.